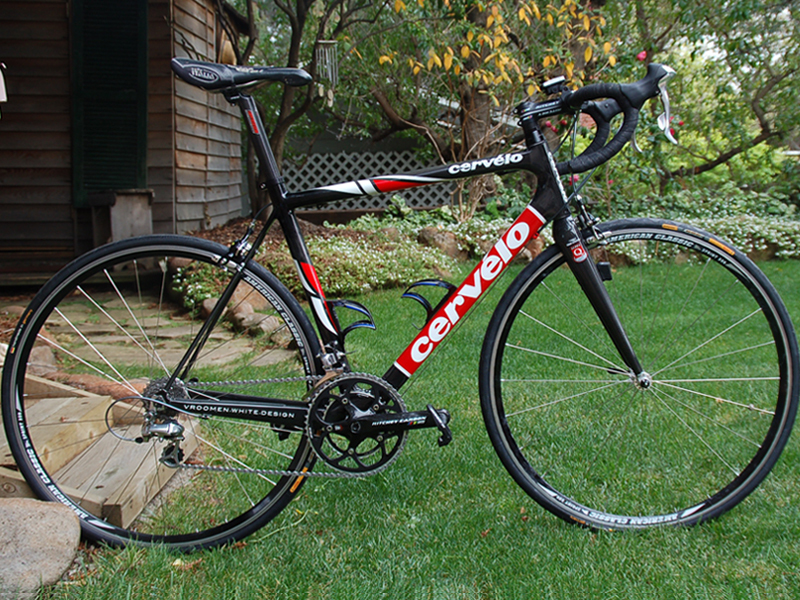 The Cervelo R3 is an incredible bike that incorporates a very stiff frame with a surprisingly smooth ride. It does this by having massive down tube, chain stays, and bottom bracket. But it has very thin/compliant seat stays which help it to absorb shock. The claimed weight is just over 2 pounds. This one, which I bought used off of RoadBikeReview classifieds, actually weighed less than that. The 56cm size came in at 1pound, 13 ounces. The derailleur hanger adds an ounce-and this was with the headset bearings already set! The Alpha Q "sub 3" fork actually weighed 375 grams; a lot of weight goes into the star fangled nut implementation which requires glue and a special internal spacer to set. This bike climbs well with a stiff bottom bracket. It also descends incredibly well with a feeling of confidence I haven't had in years. It feels like an old steel frame. The only hitch with this frame is the seatpost; it is a 32.4 diameter and the stock FSA seatpost is 260 grams (the R3 SL features a traditional 27.2 seatpost diameter). In any case, I got a U.S.E. seatpost adapter from Excel sports; it weighs 30 grams and I put in my Easton post that weighs 135 grams. 95 grams weight savings!